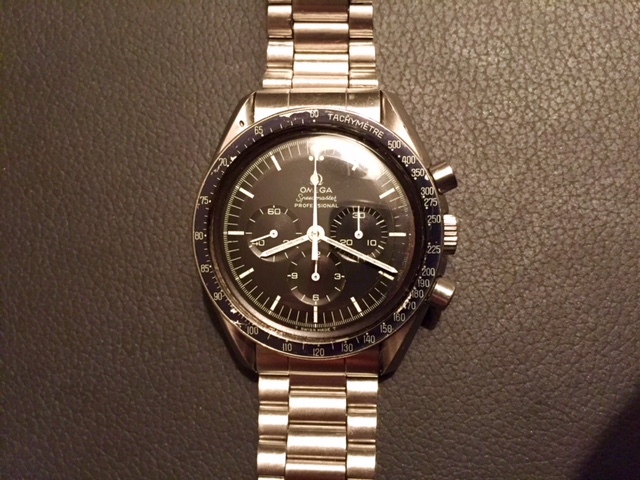 For sale is an Omega Vintage Speedmaster Ref. 145.022-69ST Cal. 861 from 1970, the watch has been worn. Therefore, it has light scratches but still maintains its very good condition as it runs perfectly. Comes with the speedy and papers only. Case has a great finish as DON bezel with light fading is still well preserved. Letting go at: US$7500 which will also includes shipping. I will be open to queries and reasonable best offers should you not feel comfortable with my price. Keen buyer only. Please do not hesitate to contact me for further inquiry.